Every day, people try new fad diets that they heard about. The internet is littered with articles about people who turned their lives around by trying a bizarre combination of diets. Sometimes, these diets are scientifically proven to work, but others are probably less effective. Here is everything you need to know about some of the more popular diets. Avoiding gluten means avoiding grain products such as wheat, barley, oats, and rye. The diet is really only for people with medical conditions associated with grains such as celiac disease, non-celiac gluten sensitivity, gluten ataxia, and wheat allergies. However, it has gained popularity among other people. The claim is that gluten free diets can help you lose weight, gain endurance, and feel healthier, but there is no solid evidence that this is true. Additionally, gluten free foods sometimes have higher fat and sugar content, but lower iron, calcium, and fiber content. Most of these nutrients can be replaced by eating other types of foods or by taking supplements, but it seems like a lot of work for a diet that is not actually proven to be effective. The lectin diet is a newer fad diet. The theory behind the lectin diet is that lectins are a protein in plant that were designed as an evolutionary mechanism to protect the plants. Lectin is a big component of beans and one study from over twenty years ago demonstrated that the lectin in beans could cause nausea, vomiting, and diarrhea. Lectin rich food that you would want to avoid includes beans, grains, squash, eggplant, pepper, potatoes, tomatoes, peels of plants, seeds of plants, nuts, and rice. There is anecdotal evidence that limiting intake of these foods has changed lives, but the science suggests that lectin is only really a problem when these plants are eaten raw. Even when they are raw, there is only a small chance that the lectin can be harmful. Most dietitians agree that many plants with lectin are very healthy and research shows that diets that include beans and nuts are correlated with a longer life. There are lot of different types of vegan and vegetarian diets, but the general idea is that you avoid animal products. Pescatarians sometimes call themselves vegetarian and they mostly avoid meat products, but are willing to eat dairy products, fish, honey, and gelatin. Other vegetarians will not eat fish, but are okay with dairy, honey, and gelatin. A small subset of vegetarians will not even eat gelatin products. Vegans are more strict and they avoid dairy products and usually gelatin as well. Some vegans will not eat honey, but others feel that honey is okay. Many vegans and vegetarians are not dieting at all, but choosing to avoid animal products for moral reasons. However, there are a number of health benefits associated with veganism and vegetarianism. There is evidence that certain types of animal products do make it more difficult to lose weight. Replacing those products with foods like beans, tofu, and nuts is often a very healthy choice. However, most vegans and vegetarians have trouble getting sufficient protein and have to take vitamin supplements in order to avoid vitamin B12 deficiency. Avoiding animal products can improve your health, but you do have to be creative about making sure you are still getting a well-balanced diet. The Atkins diet is a low carb diet plan. The idea is that limiting calorie intake is less effective than limiting carbohydrate intake. The evidence does show that people who take the Atkins diet seriously can, in fact, lose weight and maintain their weight loss. The science behind how it works is that, by replacing carbohydrates with proteins, your metabolism speeds up and your appetite sometimes go down. The only downside of the diet is that it is not easy. Atkins has a whole website with different version of the plan, all of which include micromanaging exactly what types of foods and carbohydrates you are allowed to eat in a given week. For example, in the first phase of the “Atkins 20” version of the diet, acceptable meat products include unprocessed bacon, beef, unprocessed ham, lamb, pork, veal, and venison. 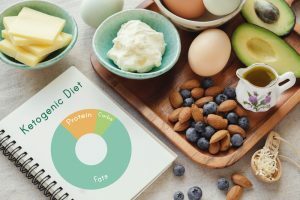 By the second phase of the “Atkins 20” version of the diet, you will be told to avoid meat and stick to nuts, fruits, juices, legumes, and dairy. Therefore, it is not an easy diet, but if you put in the hard work, you will probably see results. People have also reported that a looser version of the diet might be less effective, but it will still help you feel healthier and maybe shed a couple of pounds. Ketogenic diet is similar to the Atkins diet in that it is a very serious low carb diet. However, instead of replacing your carbohydrates with protein, you will want to replace them with fat instead. The theory is that, by doing this, you put your body in ketosis, a state where your body uses ketones for energy. Ketones are fatty acids that work like glucose to help your body produce energy. You do end up storing less fat by doing this; however, some argue that your brain does not get enough energy when your body is in ketosis. You also have to closely monitor yourself to make sure that there are not too many ketones in your blood. Fatty foods are generally not so good for you, so you will have to be very careful if you are on this diet. 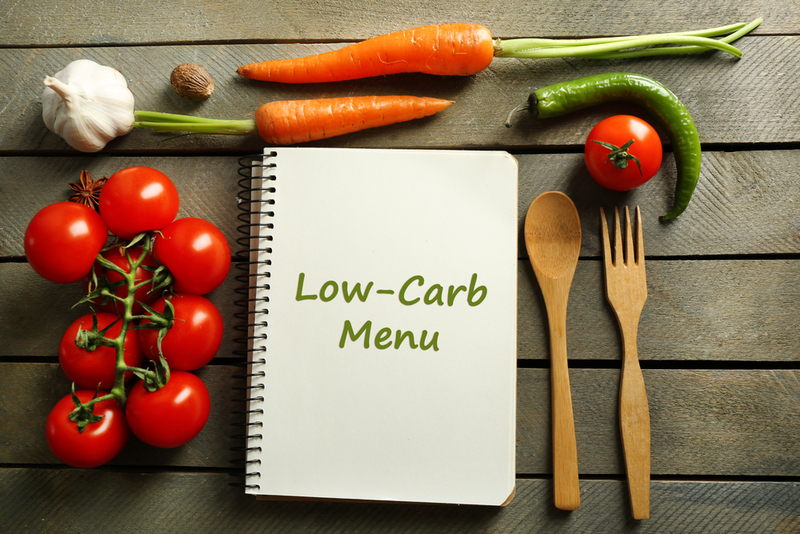 If you want a serious low carb diet, it is probably better to consider some version of the Atkins diet. Many people try the paleogenic diet at the same as the ketogenic diet, but it is not necessary to try them out together. The paleo diet is about trying a more “natural” diet, meaning you keep a diet that humans would eat while they were still hunting and gathering food. This means that meats, fish, nuts, certain fruits and vegetables, and seeds are all okay. However, processed foods and starchier grains all should be avoided. Unfortunately, the science behind this diet does not make that much sense. The theory is that your digestive tract is not designed for more modern forms of food, but the human digestive tract has actually evolved to be able to handle grains. Still, the paleo diet does contain a lot of healthy foods and it does limit the intake of a lot of unhealthy foods, so it can still help you lose weight if you take it seriously. 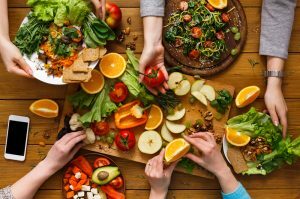 Everybody’s body responds differently to different types of diets, but the science says that limiting starches and sugars will help you live a healthier lifestyle. Protein is always good for you, while processed foods usually are not. As long as you have a well-balanced diet, you should be able to feel healthier and you might even lose a little bit of weight.